With the big powers all having negotiated the expanded Asian Cup group stage safely enough, the tournament gets going in earnest on Sunday with the first of the sudden-death round of 16 ties. First of the former champions out of the blocks are Iran, who take on Oman at the Mohammed bin Zayed Stadium in Abu Dhabi for the right to play China or Thailand in the last eight. 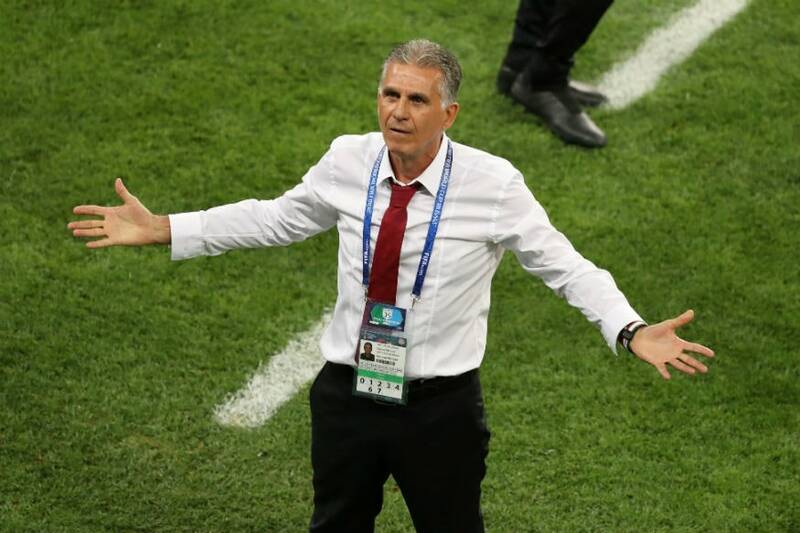 Team Melli cruised through their group unbeaten and should make light work of Pim Verbeek’s Oman, who progressed as one of the best third-placed teams by virtue of a sole win over Turkmenistan. “The real Asian Cup starts now,” coach Carlos Queiroz told a news conference on Saturday. “It is everything for the winner, nothing for the losers. There is no room for mistakes, no room for regrets, there is no room for sorry, no room for tomorrow. It is just here and now. Iran’s clash with Oman is the final match on Sunday as the Chinese take on Thailand in Al Ain in the late afternoon after Jordan battle it out with Vietnam in Dubai for the first spot in the quarter-finals. Jordan’s victory over Australia in their first match was the biggest shock of the tournament so far and they went through ahead of the reigning champions as the winners of Group B. That has given coach Vital Borkelmans huge belief that they can reach a quarter-final against either four-times champions Japan or three-times winners Saudi Arabia, who meet on Monday. “These guys, they are so amazing, I learned a lot of things about these guys,” the Belgian said of his in-form side. Vietnam squeaked into the knockout stages by virtue of a better disciplinary record than Lebanon but coach Park Hang-seo has developed something of a Midas touch and another night of celebration in Hanoi is not out of the question. Football-inspired celebrations in China have been few and far between since they lost the 2004 Asian Cup final to Japan in Beijing and Marcello Lippi’s team stumbled into the last 16 after a 2-0 loss to South Korea. The Italian World Cup winner confirmed on Saturday that prolific striker Wu Lei would be fit to start after missing the Korea match with a shoulder injury but was wary of the Thais. “They changed the coach after the first match they played and they changed the tactics and basic formation,” he said. Thailand’s caretaker coach Sirisak Yodyadthai always suspected that Wu would play and said his side would be more focused on their own game. The fixtures in the bottom half of the draw start on Monday, with Son Heung-min’s South Korea, arguably the form team of the tournament so far, and the Socceroos looking most likely to meet up in the semi-finals.